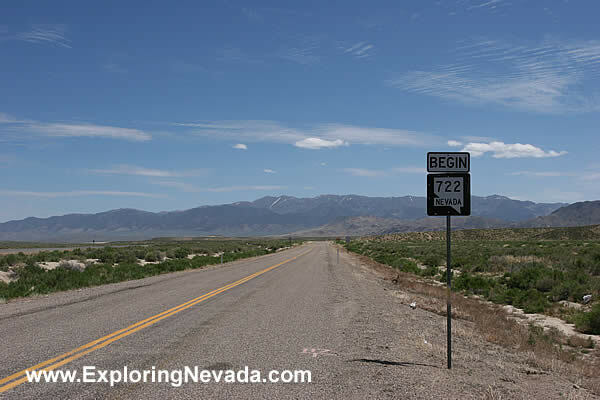 Highway 722 is the road followed for the Desatoya Mountains Scenic Drive. The Desatoya Mountains are the mountain range in the distance. This photo was taken at the western start point for this scenic drive.